Pineapple's insurance model has its roots in a traditional South African Stokvel. 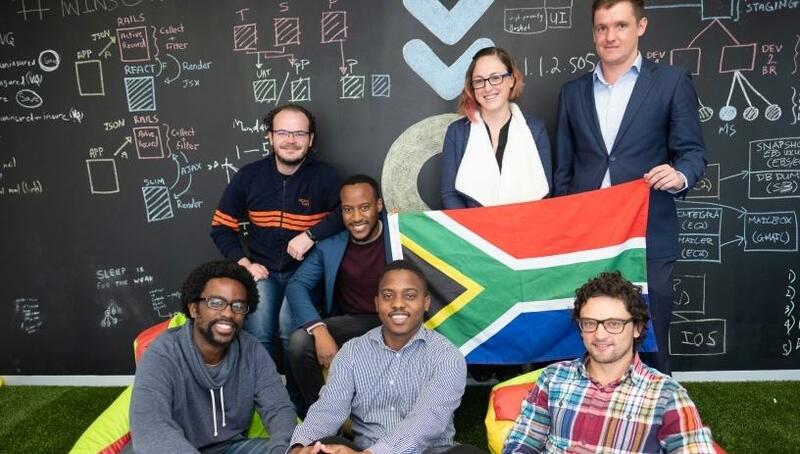 Local insurtech start-up Pineapple has officially gone live with its insurance offering in the South African market, two years after coming up with the concept. The product offers insurance for individual items such as gadgets, cellphones, jewellery and home appliances. It was initially only available to about 1 000 beta users who had signed up for the product through the company's Web site or through invitation by the team. Pineapple, co-founded by Matthew Elan Smith, Ndabenhle Junior Ngulube and Marnus van Heerden, provides consumers with a platform to interact with each other and form pools of funds, from which claims will be paid out. The company says it has made insurance as simple "as snapping a picture". Users take a photograph of the object they want to insure and load it onto the platform. The platform, through its artificial intelligence capabilities, will recognise what the image is and place it in the appropriate category for pricing purposes, explains Pineapple. Policies are underwritten by specialist insurer Compass, and Pineapple will earn a fixed fee, payable as a percentage of premiums, for its services, says Smith. He notes the Pineapple model has its roots in what is a traditional South African Stokvel, but was developed further to be decentralised, digital and scalable, with no chance of claims not being able to be paid due to a lack of funds. The smart use of artificial intelligence and decentralisation allows members to take control of how their wallets are used by connecting, in a Facebook-like fashion, to other Pineapple members they trust, says Ngulube. A member is in complete control of who they network with; there are no fixed pools, he adds. When a claim is lodged, all wallets contribute in a small way to help pay the claim, says Pineapple. All leftover premiums can be withdrawn at the end of each year and Pineapple shows members exactly how their premiums are used in real-time, says Smith. Motor insurance cover is being developed and will soon be part of Pineapple's offerings. Smith says in September last year, the start-up secured R5.2 million in seed funding from Lireas Holdings, the strategic investment arm of Hannover-Re Group Africa, in return for a 25% stake in the business. The funding was to help Pineapple bring its insurance offering to the market. "The goal for us is to change the way insurance as a whole is conducted, to be more fair and create more value for those who wish to insure. The nature of the initial product (per item insurance) opens up an easy way for people who are currently uninsured to quickly get cover on items they wish. "Our long-term vision is to roll-out more insurance products and non-insurance offerings to SA as well as scale to other regions, including South-East Asia, Africa and the Middle East. Users can download the app for iOS or Android.